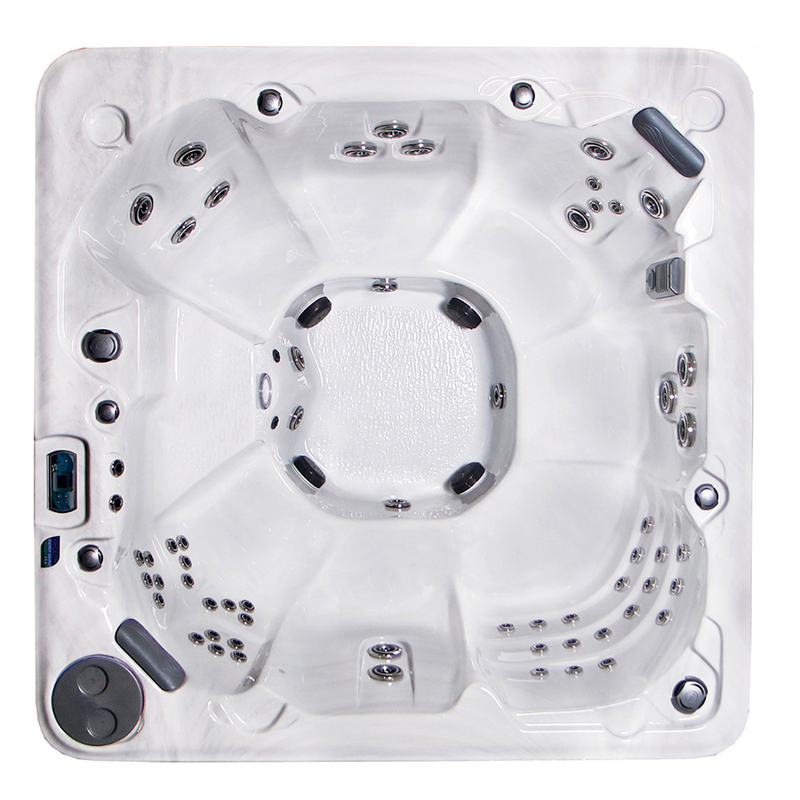 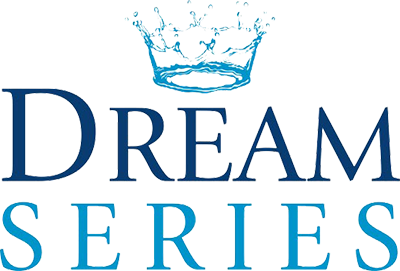 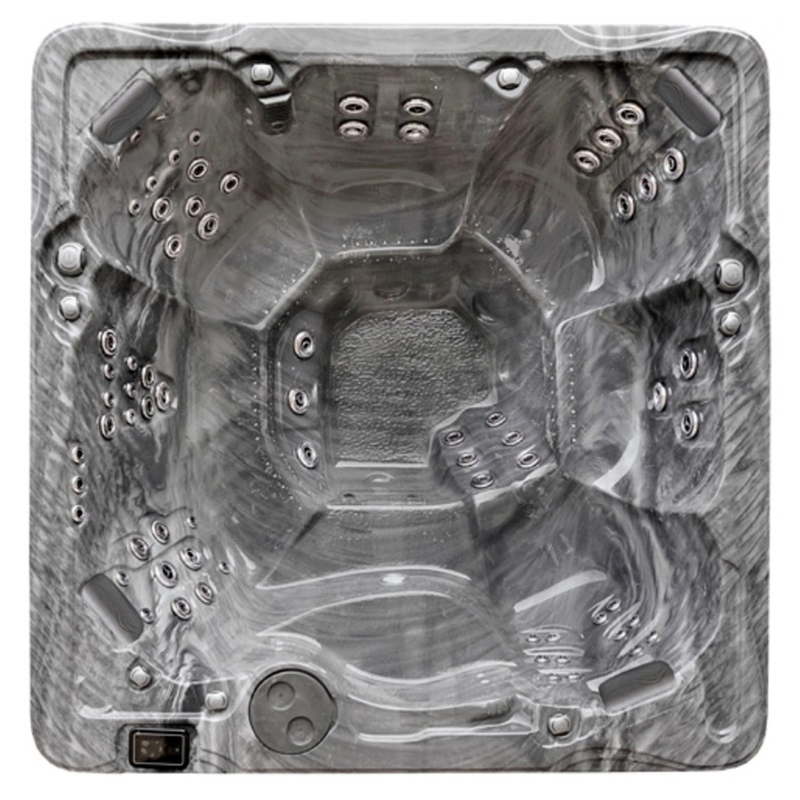 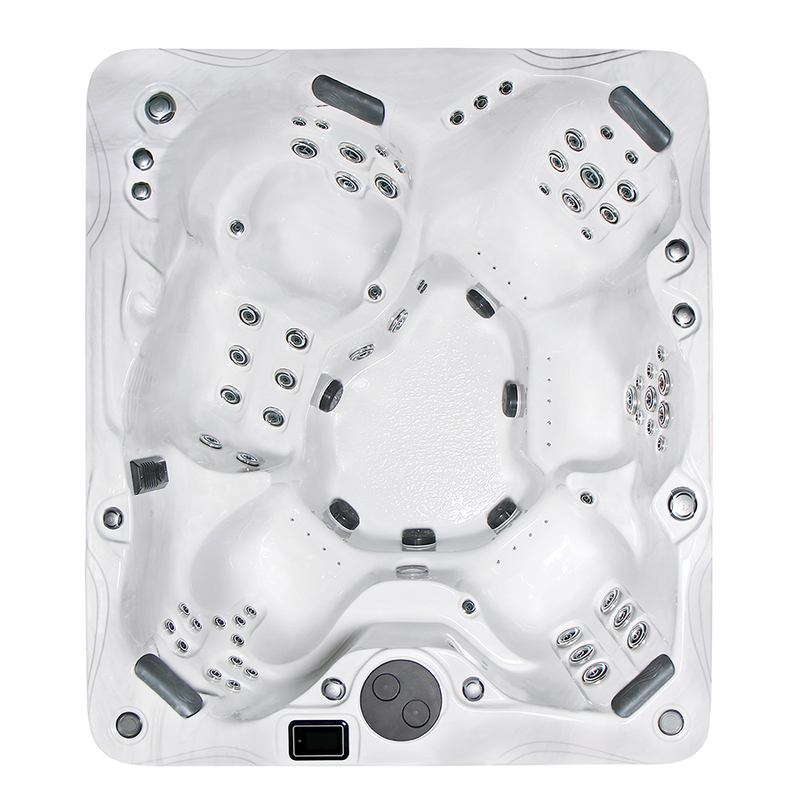 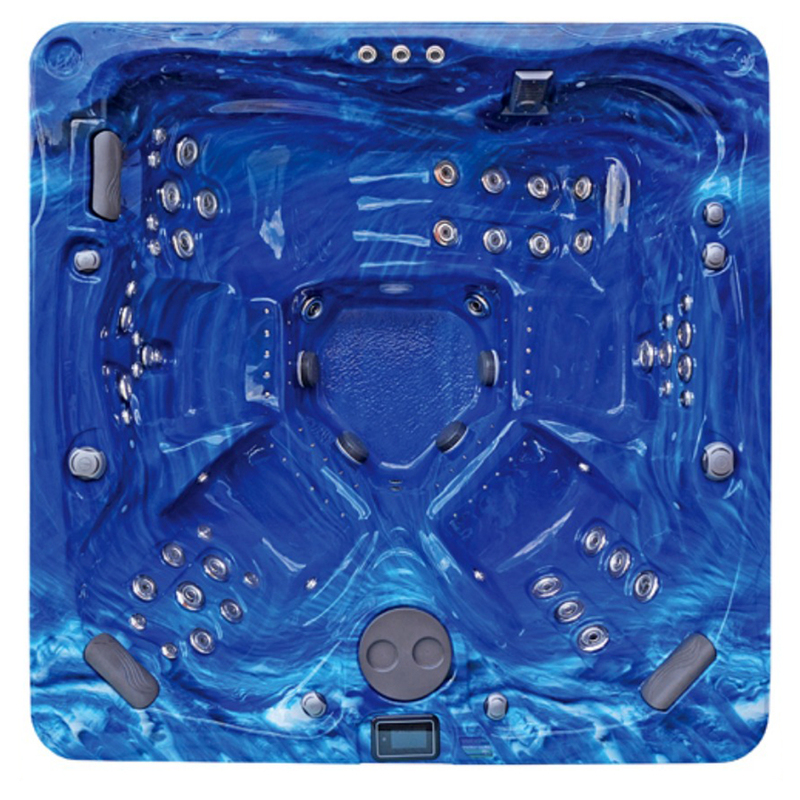 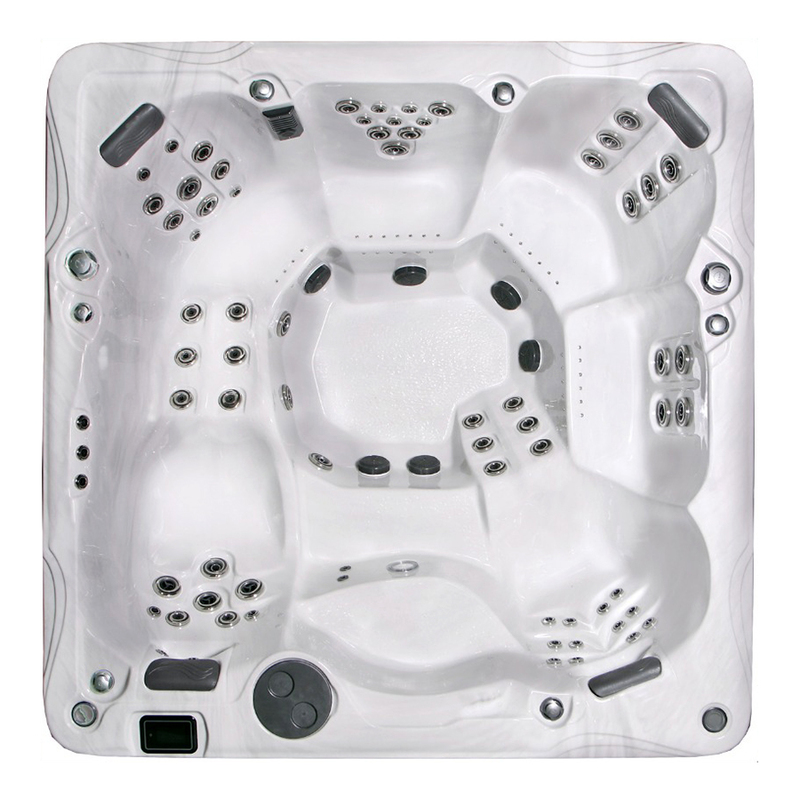 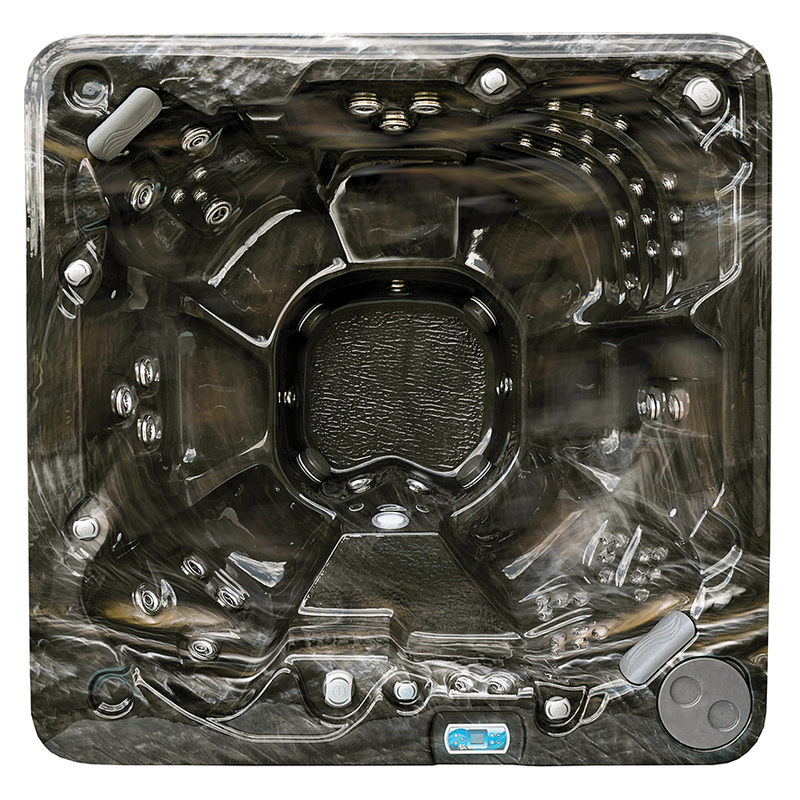 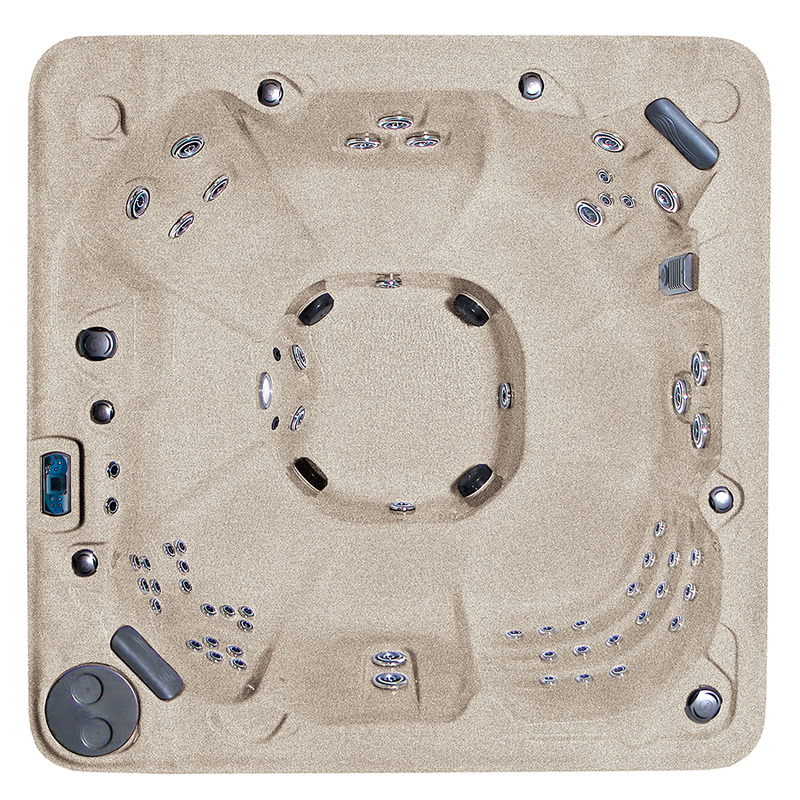 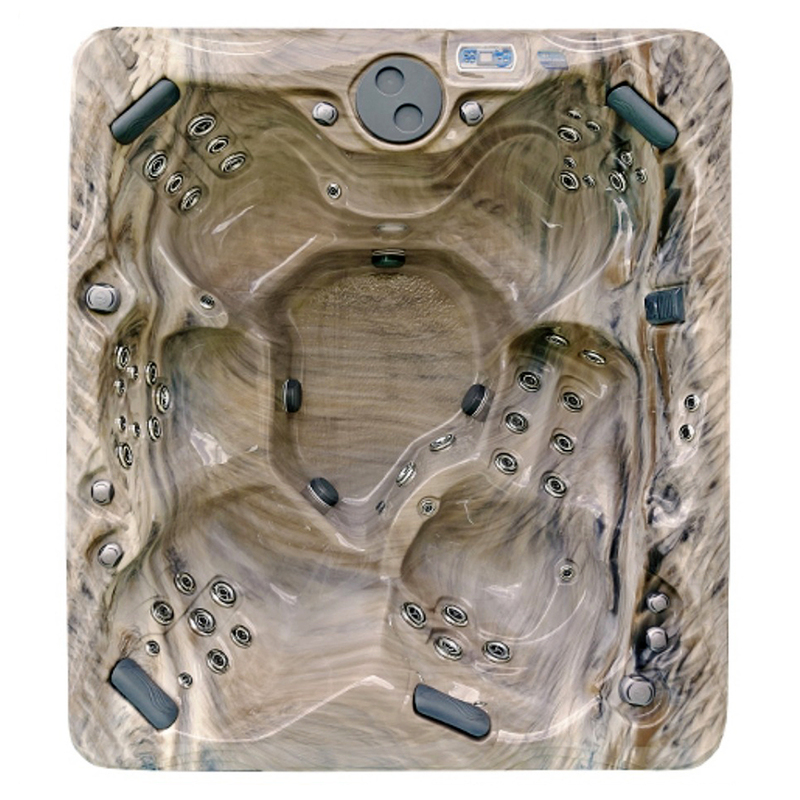 As one of Crown Spas’ most prestigious custom hot tubs, the Reno luxury hot tub spa features an 86″ square design with spacious seating that can accommodate up to six (6) people. 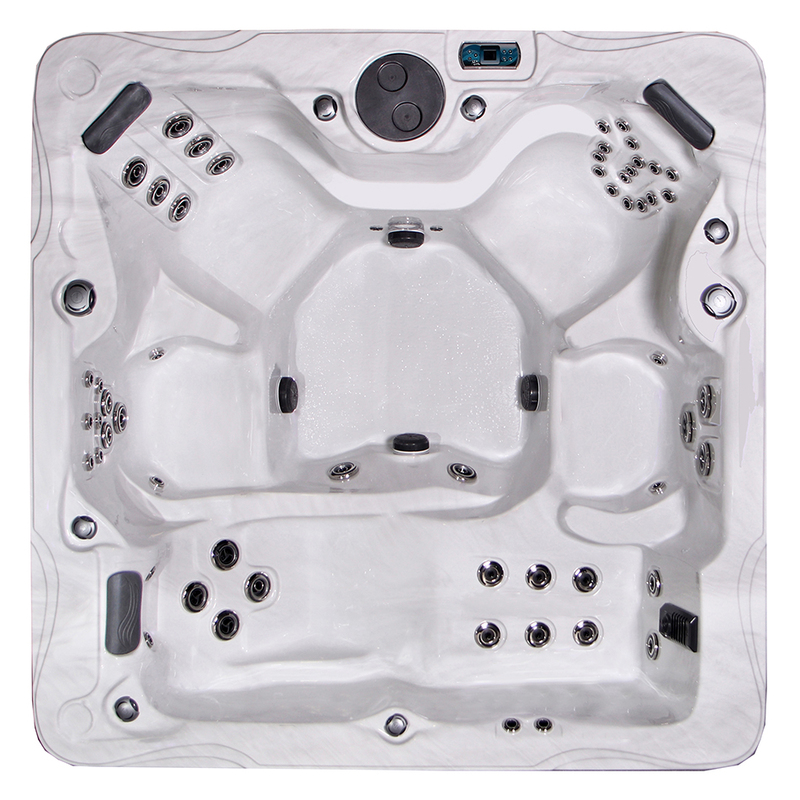 This includes: three (3) deep-contoured buckets, two (2) extended lounge seats, in addition to an extra-wide bucket seat. 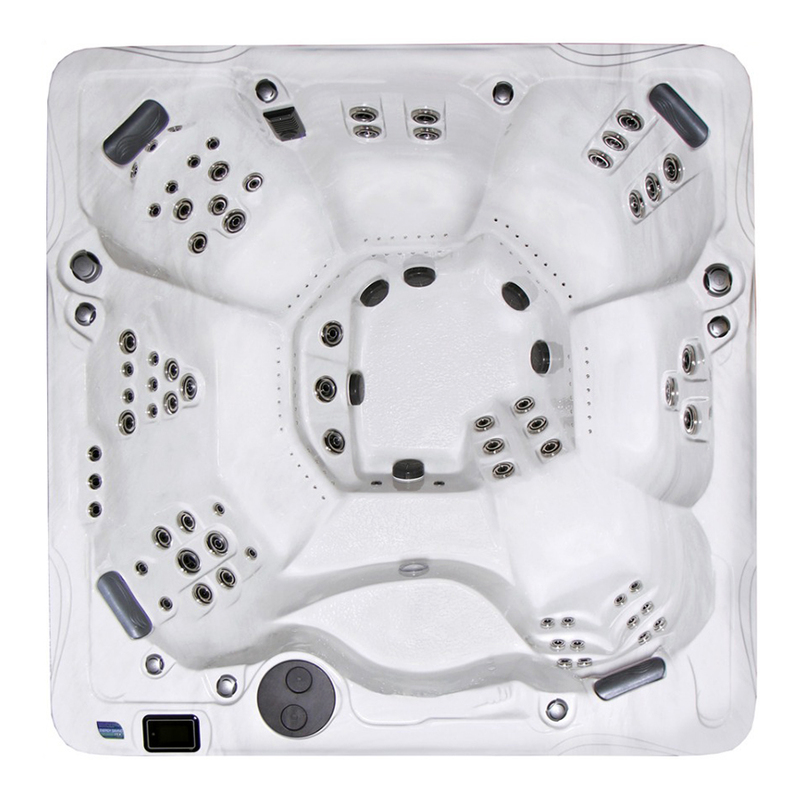 With up to 65 hydrotherapy jets and up to 50 optional air massage outlets, the Reno luxury hot tub is what lesser hot tubs aspire to be.